As a seasoned veteran of some forty years of tending to the whims and needs of the tippling class, I have come to deeply appreciate two particular drinks—the first and last one of the day. On those mornings when it was my charge to open a particular establishment, there was no better preparation for those anxious souls that were about to descend upon the bar than that hot steaming cup of coffee discreetly laced with just the right amount of brandy. And at days end, with the unburdening of that last woeful tale, or the utterance of that final alcohol induced pearl of wisdom, the doors were bolted, and one could retire to a good pint and the much welcomed silence. During my pursuits on behalf of American Public House Review, and more recently Parting Glass Media, most of our work has been conducted in the wee and pre hours of operation. Those times were not only in keeping with my own disposition and creative limitations, but it also seemed to be the most effective way to capture the character and complexion of those featured memorable locales. But in the case of McGillin’s Olde Ale House in Philadelphia I will take exception to my own long held position. This truly great American institution most be experienced while in the company of both its patrons and its publicans. Since 1860, literally millions have made McGillin’s their second home, but in all that time only two families have presided over the business, both keeping a caring and conscientious watch on that renowned tavern. 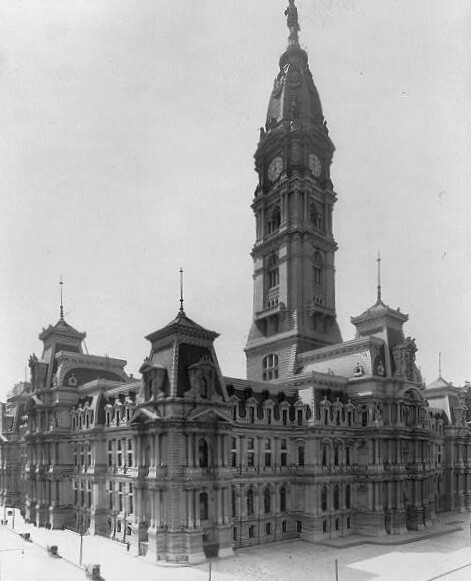 Eleven years before construction began on Philadelphia’s City Hall, on the square originally designated by William Penn to be the public epicenter of the city, William McGillin, an Irish immigrant affectionately known as “Pa,” began serving quality ales, stouts and lagers to those laborers and businessmen that would transform this mostly undeveloped section of the old town. While that area would eventually become the political pulse of Philadelphia—McGillin’s licensed little row house on nearby Drury Street, then called The Bell in Hand, was destined to become the social heart of the city. For over fifteen decades the notables, and on occasion the notorious, from every walk of life have added to the luster and patina of this perfectly appointed urban saloon. the original pub now known as McGillin's. In 1901, after the passing of William McGillin, his wife Catherine continued on with the enterprise. She economically weathered the folly of prohibition by opening a restaurant on the first floor of the four story building where they had raised their thirteen children. Although there is some anecdotal evidence that suggests that something stronger than afternoon tea was being served on the second floor. Whatever the case, Catherine, until her own death in 1937, ran a good house that always maintained an atmosphere of decorum and civility. And like her late husband, “Ma” McGillin would make a lasting impression on the community, and be lovingly remembered throughout the entire city of Philadelphia. In 1958, Mercedes McGillin Hooper, the last surviving child of William and Catherine, sold the tavern to Henry Spaniak and Joe Shepaniak. Though their last names are spelt differently, Joe and Henry were brothers who brought a fair amount bar keeping expertise to the operation. Since 1993, Mary Ellen Spaniak Mullins, Henry’s daughter, and her husband Chris Mullins have held the reins at McGillin’s. And more recently, their son Christopher, Jr. has become an important part of the family business. Christopher Mullins Junior, his mother, Mary Ellen Spaniak Mullins and his father, Christopher Senior own and operate McGillin's Olde Ale House. One does not need to spend much time with the current owners before coming to the realization that they view their tenure here as being more of a stewardship. They see themselves as having been entrusted with standards and traditions that are theirs to protect, preserve and pass on to all those who walk through the massive front doors of this city’s oldest operating tavern. The taps dispense a variety of big market beers as well as a wide selection of craft beers concentrating on local brews and including their own proprietary ales.